All ACOMA COURT homes currently listed for sale in Surprise as of 04/23/2019 are shown below. You can change the search criteria at any time by pressing the 'Change Search' button below. "***MODEL HOME*** in the community of Acoma Court in Surprise!!! This stunning showpiece of a home will wow you in every way! This home features a kitchen island, white cabinets, 2'' crown molding, 42'' uppers, granite, recessed lighting, Stainless Steel appliances, upgraded hardware, pre-wire for flat screen TV in great room, upgraded interior doors, 78'' step in shower with tub, dual sinks in master and 3rd bathroom, upgraded flooring throughout, patio and fully landscaped backyard to enjoy t"
"Stunning newly built home in the community of Acoma Court in Surprise! 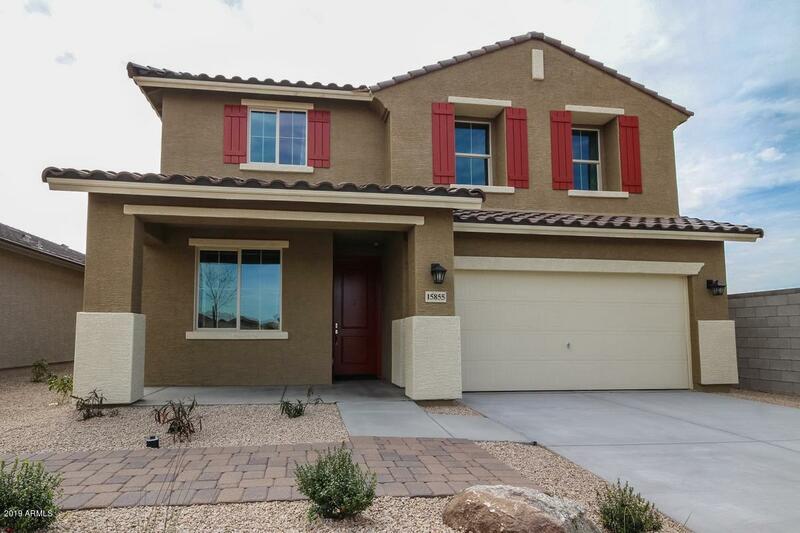 This very popular floorplan offers many upgrades including granite, BLK stove, BLK dishwasher, BLK microwave, and BLK side by side, sinks in the master bathroom, upgraded flooring throughout, two-toned paint in Mindful Gray, and a patio for those gorgeous Arizona sunsets!" "****Model Home*** in the community of Acoma Court in Surprise! Such a gorgeous home with a popular floorplan that offers so many upgrades we can't list them all! This home features a kitchen island, Espresso 42'' cabinets with 2'' crown molding, Black Whirlpool dishwasher, range, built-in microwave and side by side refrigerator, recessed lighting, dual sinks in the master and secondary bathrooms, step in shower as well as a linen closet in master bath, pre-wired for flat screen TV in great roo"
"Home sweet home! 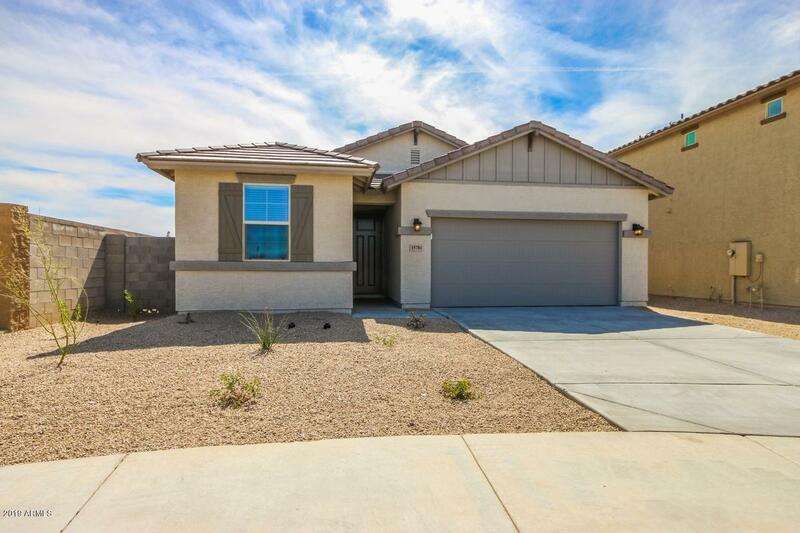 Newly built 3 bedroom home in the Acoma Court community of Surprise! Wonderful great room concept floor plan with neutral paint tones, tile flooring, and plush carpeting. Create a culinary delight in the beautifully upgraded kitchen that features a large island/breakfast bar, smoke stained cabinets and granite countertops! Each spacious bedroom and the den have plush carpeting. Master bathroom features 60'' walk in shower, exec. height cultured marble counters with dual sinks. " 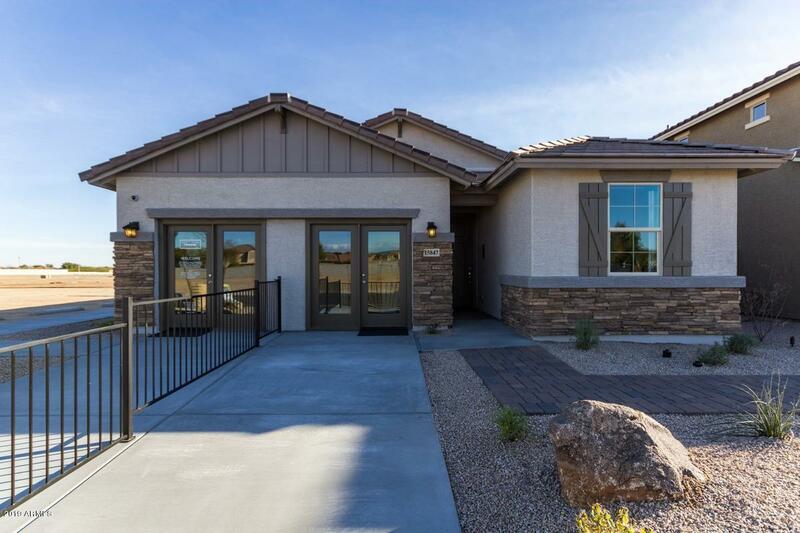 "Gorgeous newly built home in the community of Acoma Court in Surprise! 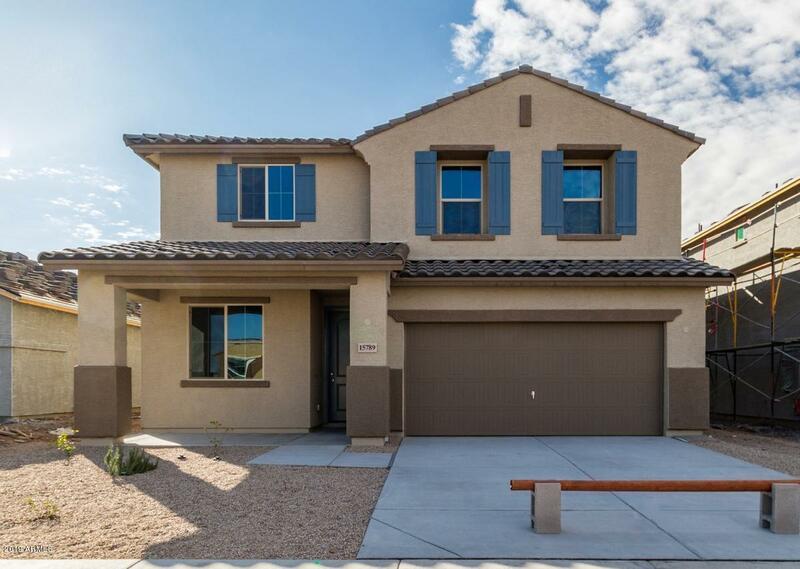 This home has many upgrades including a kitchen island, recessed lighting, 2'' crown molding, staggered cabinets, granite, 60'' step in shower in master bathroom as well as a linen closet and dual sinks, two toned paint plus a patio for those beautiful Arizona sunsets! This one won't last long at this price!" "***TO BE BUILT*** Dirt lot available to build. Popular 3 bedroom, 2 bathroom, 1580 sqft home with a very open floorplan. Bring your buyers before this very desirable Surprise location is gone!!"